ALLEGRA BOVERMAN/Staff photo. Gloucester Daily Times. 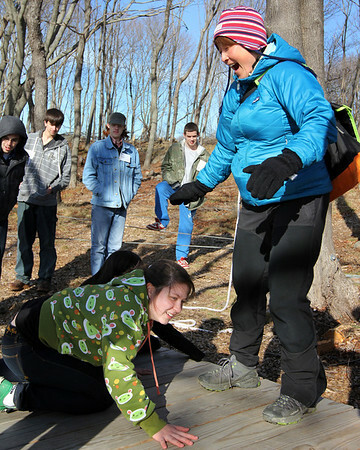 Gloucester: Tomo Seki, far right, of Project Adventure Japan, and Miranda Schneider, lower left, work to keep a platform balanced during activities with the Gloucester High School Project Adventure group at the school on Wednesday.